If you are enjoying the holidays with a drink of alcohol or drugs then it would not be a good idea to get behind the wheel of any vehicle. You may think that you will be ok but rest assured that just like your decision to drive is impaired so will your driving skills. Studies have shown that more than 30% of deaths on the roads could have been avoided if the drivers had been responsible enough to no take the risk of driving after getting drunk. Alcohol affects you in ways that you may not be aware of. Your concentration can be reduced and your vision can be hampered because o dizziness. There are drugs and medications that can cause drowsiness and affect the skills necessary for driving. Driving drunk is not only a bad idea but also a crime. The American Robin is a migratory songbird. State bird of Connecticut, Michigan and Wisconsin. Ranked among the top of the most abundant extant land bird in North America. 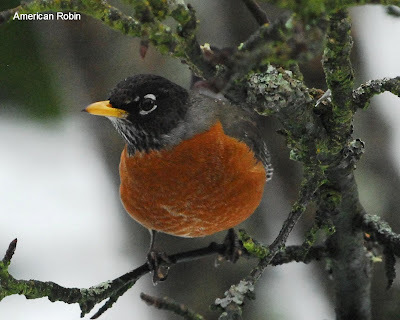 The robin is active during the day time and takes care of their flocks at night. They dine on invertebrates like beetles, grub, earthworms, and caterpillars. Also found in their diets are fruits and berries. Robins make their nest of long coarse grass, twis, paper and feathers. Put together by smearing mud. You will often hear the song of the robin early in the morning as they are often the first song bird to start singing. Predators that like to dine on robins include hawks, cats, large snakes. Oven roasted tomatoes are delicious and a great way to enjoy tomatoes in the winter. Turning tomatoes into delicious sweet bite full of robust flavor. Cooking the tomatoes in this method can be used in hundreds of dishes. Awesome for appetizers, pastas, salads, meat, poultry, or whatever you would normally use tomatoes. The process of cooking these tomatoes is slow and one that is meant for the lazy weekend. Easy enough to allow you to work around the home, wrap gifts or whatever you need to do. In a small bowl, combine the olive oil, garlic and rosemary. Set aside. Prepare a bowl of ice water next to the stove. Use a sharp paring knife to mark an "X" on the bottom of each tomato, trying to slit only the skin and to not really cut into the flesh of the tomato. Use the same knife to remove the stems. Place the tomatoes in the boiling water for about 30 seconds, just until you see the skin pull away a bit at the"X." We're not cooking the tomatoes at all -- we're just loosening the skin. Use a slotted spoon or small strainer to remove the tomatoes and place them directly into the ice water. This "shocks" the tomatoes. It stops the tomatoes from cooking and helps keep their color bright. Once the tomatoes are cool, the skin can easily be peeled off, beginning at the "X." You can use your hands or the paring knife. Cut each tomato in half, horizontally, and use your fingers or a small teaspoon to scoop out the seeds. Gently shake the tomato half to remove excess seeds. Now pour half of the oil mixture to cover the surface of an edged baking sheet. Sprinkle with salt and pepper. Place the tomatoes, round side up on the baking sheet. Don't worry if it's a tight fit -- squeeze in all of the tomatoes, as they will shrink during the cooking process. Season with salt and pepper and evenly pour the remaining oil mixture over the tomatoes. Roast the tomatoes in the preheated oven for approximately 5 hours, basting every hour and a half or so with the pan juices. When the tomatoes are done, they will be about half their original size and slightly golden brown along some of the edges. They should not be dry. Season to taste with salt and pepper. Using a serrated knife, cut the baguette into approximately 30 slices and place them on a baking sheet. Toast in the 375 degree F oven until the edges are slightly golden brown, about 4 minutes. Add 1 to 2 tomato halves to the surface of each slice of toasted bread. Serve either at room temperature or warm. Up to 5 days and at least 6 hours ahead: Make the tomato confit. Up to 1 hour ahead: Slice and toast baguette. Up to 45 minutes ahead: Assemble the croustades. Preheat the oven to 400 degrees. In your stand mixer or just a large mixing bowl, add in all of your dry ingredients (flours, oats, sugar, cinnamon, salt, baking powder and baking soda). Stir to combine.Into the bowl, add all of your wet ingredients, (milk, oil, vanilla, bananas, and egg). Mix until combined and everything is moistened. 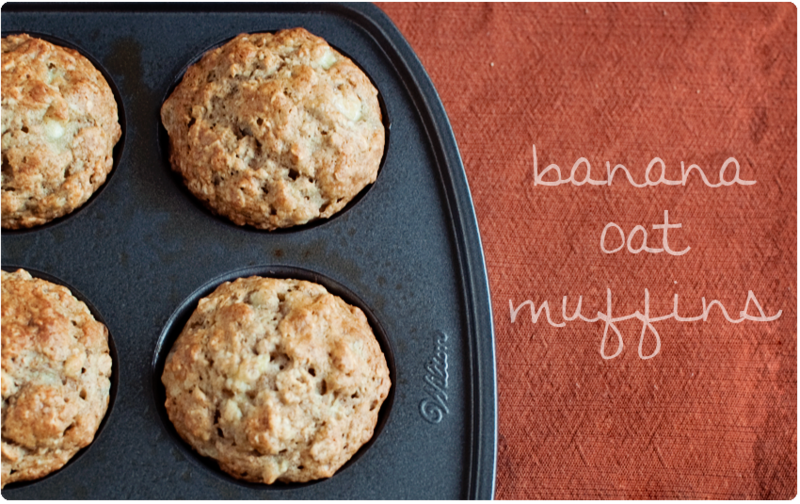 Evenly distribute batter into a 12-tin muffin pan that’s been sprayed with cooking spray. Bake for 19 minutes .Let cool for about 10 minutes and then enjoy with butter! December holds some of the sweetest days. One of which occurs on December 19th and is known as National Hard Candy Day. Whether it be peppermint flavor or a good old butterscotch we all most likely have our favorite. My favorite is root beer. What is your favorite flavor? Hard candy day celebrates every hard candy from lollipops to candy canes to the hard candies grandma would keep to keep her breath fresh. 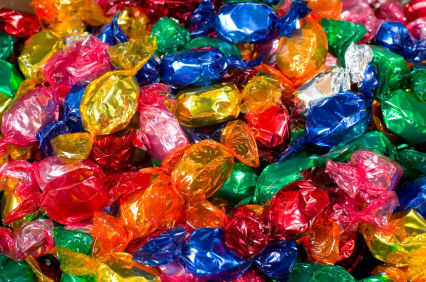 Speaking of grandmas did you know that hard candy can be traced back centuries to Ancient Egypt, Arabia and China. Fruits and nuts were dipped in honey and sticks were stuck in so they could keep their hands from getting sticky. Sugar was expensive and was something only the wealthy could afford. This brings my mind to Laura and Nelly in the show Little House In The Prairie. While Nellie had the chance to get candy when she wanted because her family was wealthy Laura always wanted just a bit but always loved the candy that she got at Christmas time. Hard candies were created for medicinal purposes in the beginning. Hard candies were found useful for sore throats and coughs. When the candy makers took note of how popular the hard candies were they started to create more flavors to be used as candy. Combine sugar, syrup, water and color in saucepan, dissolving the sugar as much as possible. Remove from heat, then add your flavor. Be sure to turn your face away if using cinnamon oil, it is very potent. Mixture will bubble and shoot up some steam, which is normal. Pour mixture onto prepared pan and cool completely. My candy was cool in about 45 minutes. Break candy into pieces, and make sure you break of the sharp points by just tapping the piece lightly to smooth it out. You can avoid this by cutting the candy while it is still warm. That isn't as fun though. Place the avocado in a large bowl and use a fork to mash until almost smooth. Add the lime juice and chili. Taste and season with salt and pepper. Spoon the avocado mixture into 2 small serving bowls and smooth the surface. Combine the sour cream and taco seasoning in a medium bowl. 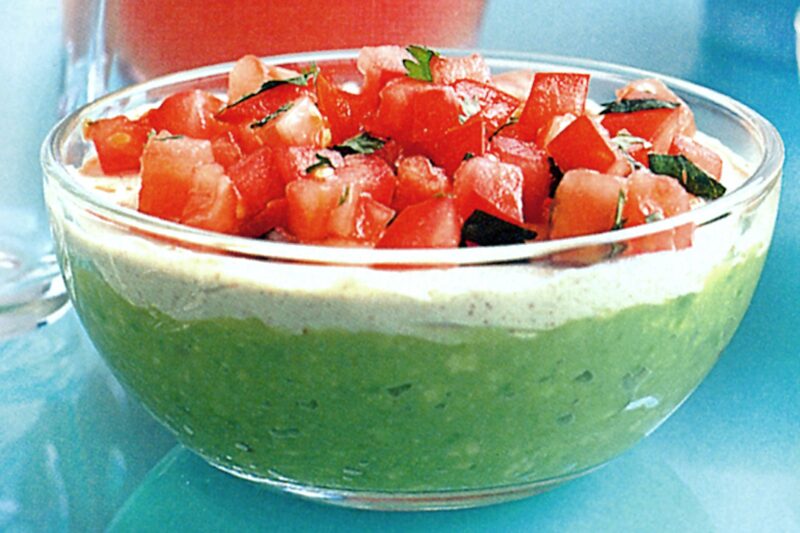 Spread a thick layer of the sour cream mixture over the avocado mixture. Cover with plastic wrap and place in the fridge for 2 hours to set. Combine the beaten eggs, sugar, and vinegar. Cook in a double boiler over simmering water, stirring constantly, until the mixture thickens. Remove from heat and transfer to a bowl. Add the butter and cream cheese and beat until smooth. Add the Tabasco sauce, onion, peppers, and season to taste. Chill until ready to serve. Serve with crackers or potato chips. This dip is best eaten on the day it is made. Without the coming of the New Born King we would continue to live in a sinful world. It was only his coming and later following the prophecy that made it possible for us to be cleaned like snow. Today lets take a moment to think about snow. I have many memories of building snowmen, snow forts, deep snows , making angels in the snow and the list goes on. What memories do you have? Have you shared the stories with those that you love? I am a story teller and love to tell the stories every chance I get. Perhaps it is a great time to get together and share your stories as well. I am sure others will gladly share their stories as well. Glue your object to the inside of the jar’s lid and let dry while you do the remaining steps. Fill each jar with baby oil (you can use water here, but the glitter won’t “float” as well), then add glitter. Just a reminder. This is the last weekend before Christmas. There will be parties to attend, gifts to shop for, lights to see and so many other reasons to be out there on the road. Be safe, watch out for yourself and your fellow driver. 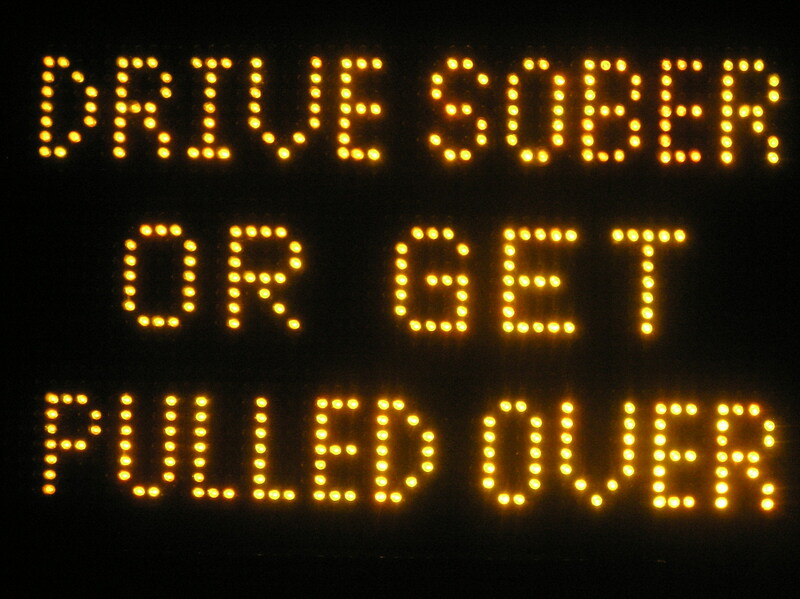 If you drive drive sober If you drink get a designated driver. The Christmas star or Star of Bethlehem is what many saw and few followed. The star revealed the birth of Jesus an led the Magi to Bethlehem. The star led them to the stable where Jesus was born. The magi presented their gifts to the baby Jesus and worshiped the new born king of the Jews. While there the wise men left warning not to return to King Herod region. 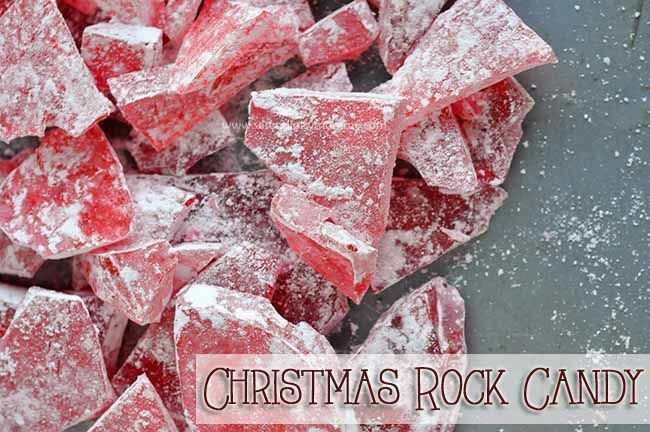 Create a fruit snack for your family and share the story of the Christmas Star. Use star cookie cutter to create and cut out star shaped snacks. We all seem to want to cheer for the underdog Back in the day there was a cartoon where the hero was Underdog. Now while the Underdog animated television series debuted in 1964 before my birth I have to say that I do remember watching many shows of this hero. General Mills sponsored the show on the NBC network and it ran in syndication through 1973. Like most super hero's Underdog had a humble role as the shoe shine boy. The heroic Underdog appears when the love interest of Sweet Polly Purebred becomes a victim. Underdog quickly goes after such villains like Simon Bar Sinister or Riff Raff to protect the woman of his dreams. With a theme song like the following what other rhyme speaking superhero could be so loved. 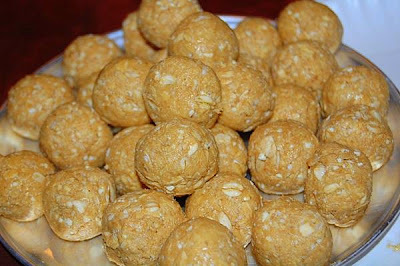 These peanut butter balls are tasty and perfect for snack, dessert and even breakfast. Yes I did say breakfast. The balls have protein from peanut butter, they also include oatmeal and dry milk. All 3 great ingredients for any healthy breakfast. Its put together in little snack ball easy to eat and our kids should love them. Here is the recipe. Combine all ingredients in medium sized bowl. You can mash it all up with your hands or with a spoon, whatever you fancy. I think I used about one Tablespoon per ball. Shoot for about a one inch ball. The add-in possibilities are endless: chopped dates, raisins, mini chocolate chips, nuts, coconut (toasted or not), and dried fruit actually. I could probably go on and on, but I'll stop there. These are a little sticky to eat. Actually, sticky is a strong word. There is an ever so slight stick to them. You could easily remedy this by rolled them in toasted coconut, crushed pretzels, crushed cereal, nuts, whatever. .
Pat cherries dry with paper towels; set aside. In a large bowl, cream butter and confectioner's sugar until light and fluffy. Beat in milk and vanilla. Combine flour and salt; gradually add to creamed mixture. Shape a tablespoonful of dough around each cherry, forming a ball. Place 2 in. apart on ungreased baking sheets. Bake at 350° for 14-16 minutes or until bottoms are browned. Remove to wire racks to cool. For Christmas glaze, in a small bowl, combine confectioners' sugar and enough water to achieve a dipping consistency. Transfer half of the glaze to another bowl; tint one bowl green and the other red. Dip the tops of nine cookies in green glaze and nine cookies in red glaze, then decorate with sprinkles. Let stand until set. For chocolate glaze, in a small bowl, combine confectioners' sugar and enough water to achieve dipping consistency. Stir in chocolate and vanilla. Dip the tops of remaining cookies in glaze, then sprinkle with nuts. Let stand until set. Yield: 3 dozen. 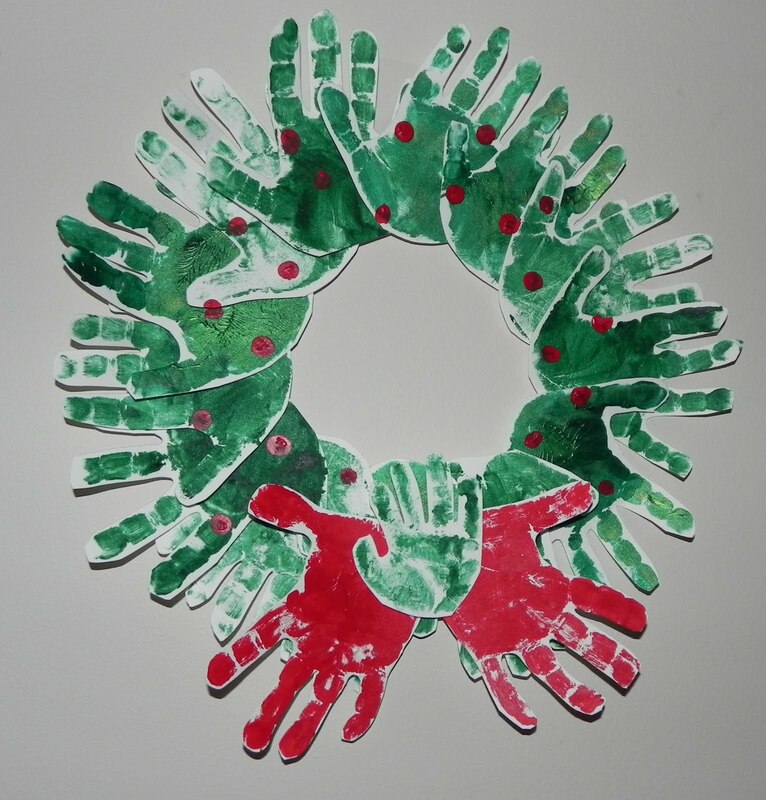 The Christmas Wreath is a very popular decoration. Hung on the front doors as a sign of welcome, used in advent wreaths in Christian traditions, hung from lamp post in the city, and dotted here and there. The wreath has been around for centuries. The wreath was important in the pagan culture in December as they celebrated the winter solstice. The wreath were signs of approaching spring light. Candles were added to wreaths to resemble power of the sun. In ancient Persian Empire the wreath has a bit of history as well. 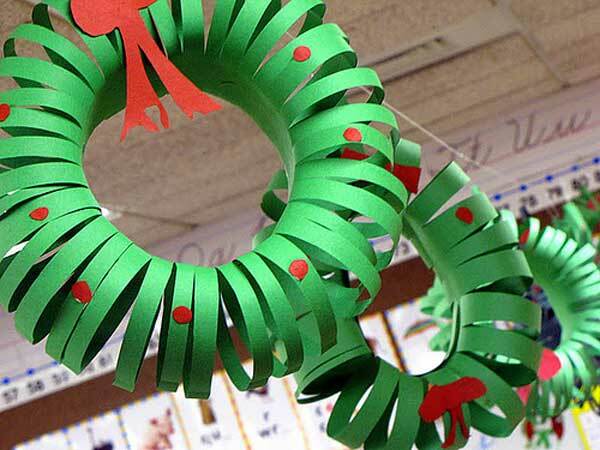 Wreaths were a symbol of importance and success. Wreaths were worn as headbands. Ancient Greeks wore wreaths of laurel on the heads of victorious athletes in the Olympic Games. Roman leaders also wore wreaths on their heads as crowns. Today, the wreath has a meaning of its own as well. The ring of the wreath has no beginning and no end and symbolizes eternity. 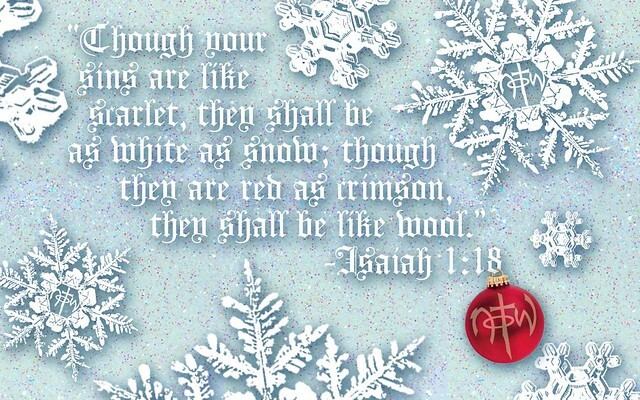 Pagan's belief of the wreath having power has been changed by today's Christians and tells the story of eternal life. Material used to make a wreath has its own meaning as well. Holly represents immortality and cedar represents strength. For many though the wreath is a symbol of welcoming in those that bring holiday cheer and to emphasize giving and gathering of love. Lay out a piece of parchment paper on your kitchen counter. Dollop spoonfuls of the cornflake mixture onto the parchment paper. Grease your (clean) hands with butter or cooking spray, or dip them in a little bit of water. 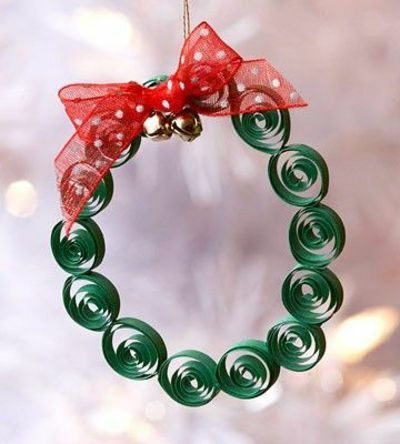 Use your fingers to shape each spoonful into an individual wreath. 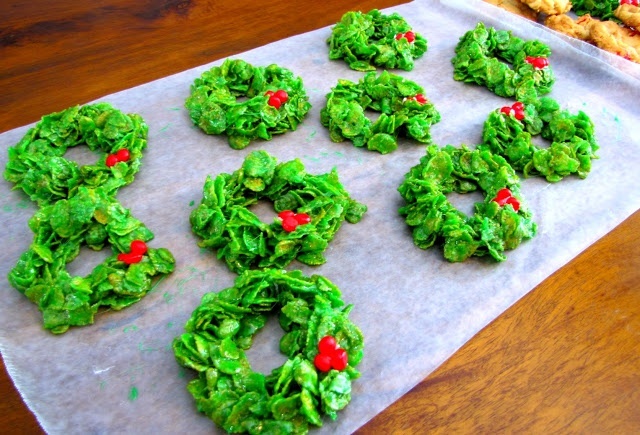 Top each wreath with cinnamon candies. I shared yesterday with you about the great Christmas bird hunt. The goal is to find out how birds are migrating and keep tract of the health of bird as well. With this in mind and since we are all in the gift giving mood lets discuss giving the birds a gift. I shared yesterday with you about the great Christmas bird hunt. The goal is to find out how birds are migrating and keep tract of the health of bird as well. I thought I would share about a bird that you can find in my backyard many days. The beautiful Cardinal bird. 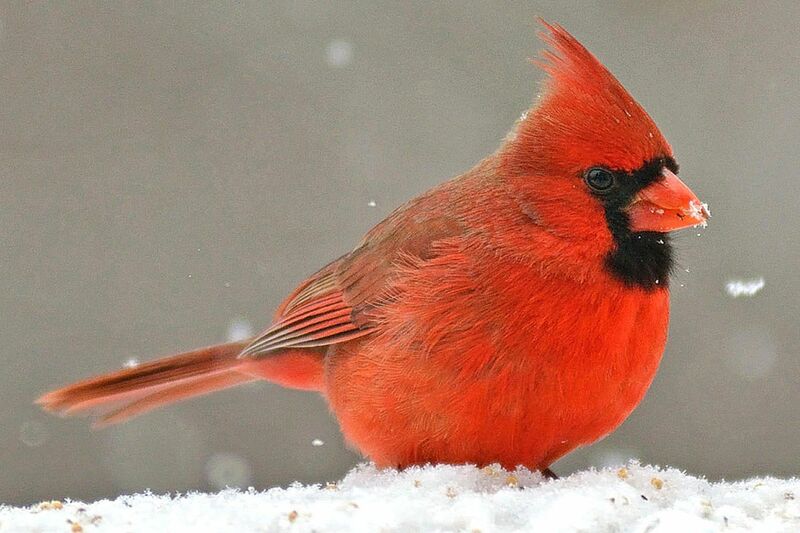 Cardinals are found in both North and South America. There are many types of Cardinal birds. The Cardinal got its name from the bright red feathers. Named after the Catholic leader Cardinal as they also wear bright red clothing. Not a large bird growing about 9 inches tall the Cardinal will nest as pairs. Together they will feed their baby cardinals. The male cardinal often sings a song to warn off other male cardinals. The female cardinal will build the nest and care for it. Many scientist believe that Cardinals use song to communicate as well as give warnings. The male cardinal is bright red and the female features more brown. The newborn birds will all be tan as well. The male birds get their feather as they grow into adults. The Cardinal eggs are white with brown spots. The female will lay between one to five eggs. The parents work together to find food to feed the babies. Food such as insects, fruit and seeds are their diet. The Cardinal is the state bird of North Carolina, West Virginia, Ohio, Indiana, Kentucky, Virginia and my home state of Illinois. The Cardinal is also a popular team mascot from schools to professionals the Cardinal is a loved mascot. There are many homeless cats and dogs. Many of which may have had a home at one time or another but now find their self alone and homeless. With no fault of their own only a yearning to be loved they now are in need of help. Perhaps it was because the pet the family had was not spade or neutered and offspring were unwanted. Now there are more than the family can handle so the get turned away rather than the owner finding homes for the animal someone has to and often that job goes to animal shelters. One great way to get involved and help out shelter animals is to gather up clean bedding or towels. These will be used for bedding. One great idea is to have the kids help you make up fleece tie blankets. The whole family can present the blanket to the shelter. 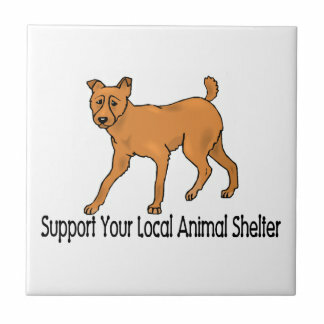 Donate food, treats, toys, grooming products and so much more. A great gift idea for your local shelter would be to create a gift basket with many of the products pets can use inside. Volunteers are always needed. There is a lot of work to do and extra hands are always welcome. 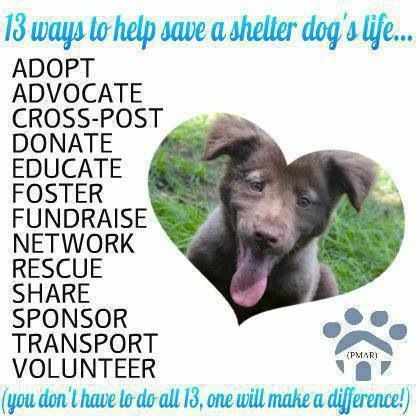 Whether you walk dogs, watch the cats, stuff envelopes for upcoming events, help plan or assist with fundraising events volunteers make a difference I lives of animals. Today, December 17th is a day to celebrate the Wright Brothers and the achievements they made in aviation. On December 17, 1903 Orville and Wilbur Wright achieved the first powered and sustained heavier than air human flight. The duo made it possible to take those tropical vacations, travel quickly between work and home, as well as make it possible to go home and see family. Oh my the above pictures are enough to make me want more. 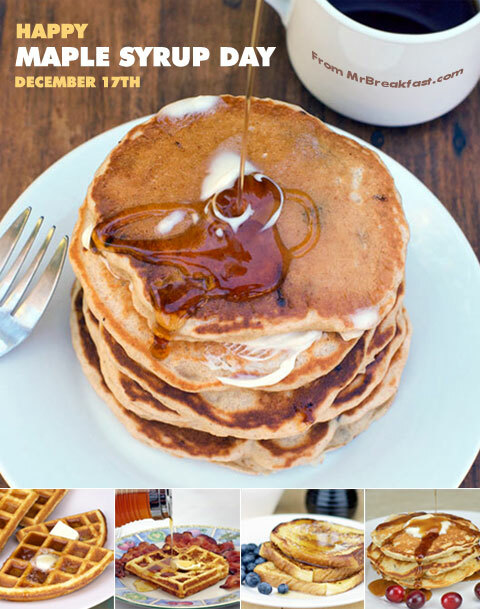 I am smacking my lip wanting some delicious yummy maple syrup. Maple is the distinct flavor that comes from the sap of sugar maple trees Maple trees have been loved for their sap for many years. 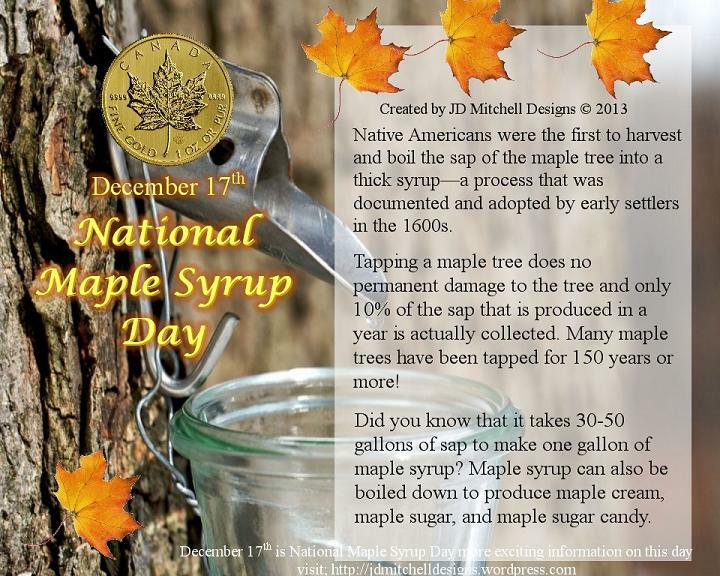 Colonial times saw Native Americans teaching America settlers how to tap the sap from maple trees. Maple syrup is created when the sap from the trees is boiled evaporating and excess liquids is evaporated. Maple trees are loved for the wood which creates beautiful furniture as well as its size that offers wonderful shade. The maple tree takes its time to grow and share it' wealth. It takes 40 years for sugar maple tree to be ready to be tapped. However, the sugar maple tree will keep giving once it reaches the sapping stage for an average of 100 years. The original recipe states that it only takes about 45 minutes to get them done, but I found that it took me about two hours to get them to the right consistency. I cooked mine low and slow to prevent the sugar from burning. - Peel quince, slice in half and remove the core. Slice and cube the fruit into pieces roughly one inch wide and a quarter inch thick. - Combine water and sugar in a heavy-bottomed saucepan, and cook on medium heat until sugar dissolves. - Add cubed quince and reduce the heat to a gentle simmer, and cook until fruit is semi-translucent (the quince and syrup will turn a vivid shade of pinkish-red). 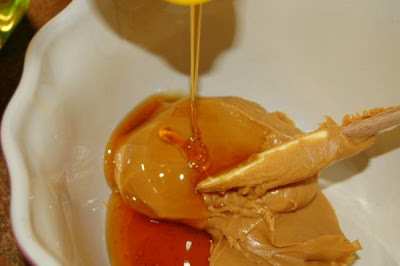 - Remove from heat and pour into a heat-proof container. Cool, then store the fruit in the cooking syrup in an airtight container in the refrigerator. You'll have about 1 cup (8 ounces) of fruit. 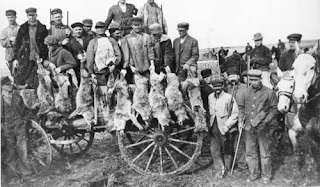 Hunting in the past was for sport and to gather food for the long winter. . Hunters participated in a holiday tradition that was known as the "side hunt". 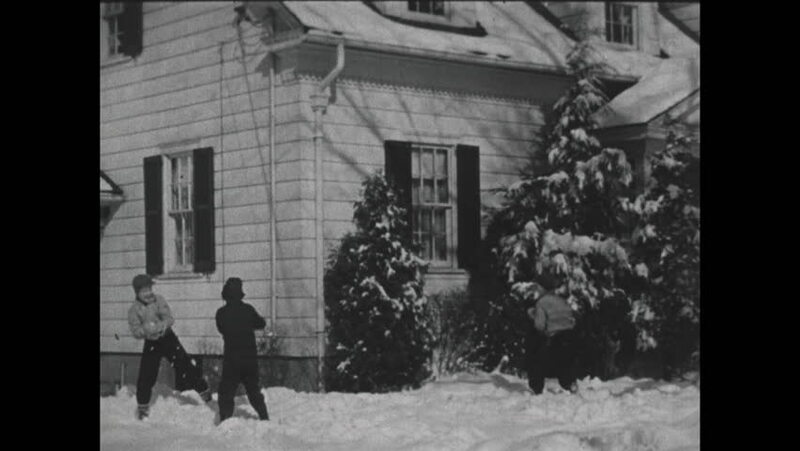 The men would choose sides and head out on a hunt to bring in the biggest pile of feathered and furred. Prior to the turn of the 20th century, hunters engaged in a holiday tradition known as the Christmas "Side Hunt." They would choose sides and go afield with their guns—whoever brought in the biggest pile of feathered (and furred) quarry won. In 1990 early conservationist would share a new type of event to help the declining bird hunt. Rather than hunt the bird they would count them. The first bird count was successful an set up the grounds to host more. November would find those wanting to participate to sign up an join in through the Audubon website. The Great Bird Count takes place December 14 through January 5. The data collected from the many volunteers would be used to create a census to access the population and health of the birds. 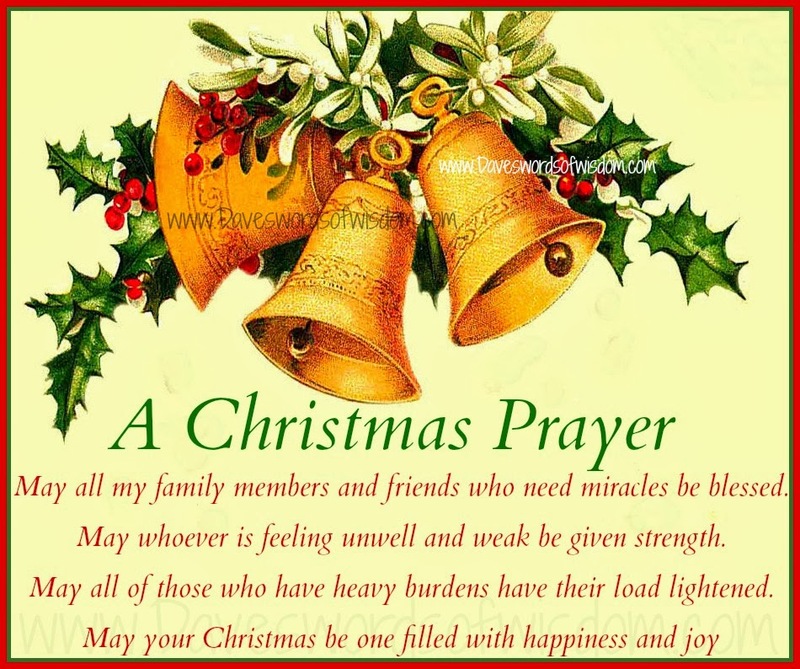 Christmas is not a holiday to spend alone. It is one to get together with family and friends. The more the merrier. 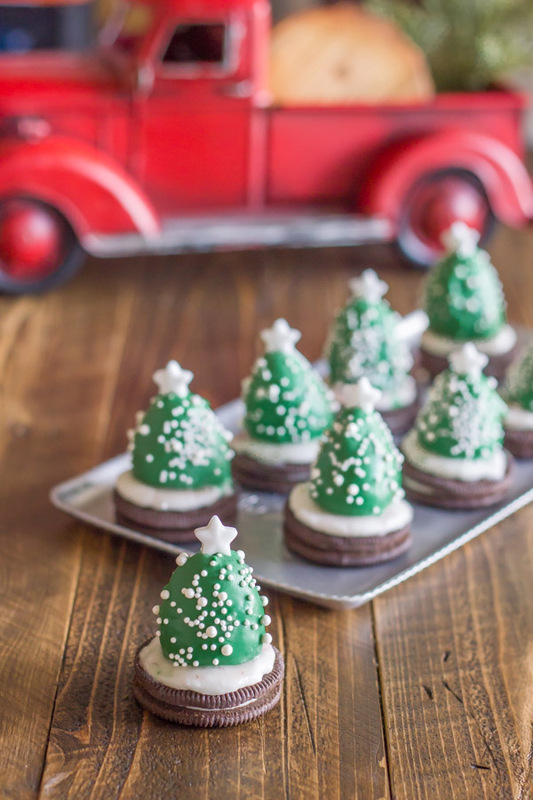 So one great idea for family Christmas is to host a cookie swap or exchange. It will be lots of fun so inform your friends and family to bake up their favorite cookie and make enough for everyone. Swapping cookies is a fun event for bakers of all ages. A great way to show off your skills and favorite recipe. Each baker should have a 1/2 dozen to share with each individual that participates. Another great idea would be to bring a copy of the recipe for the cookie that they share. Have fun, enjoy your friends and family. As they say eat and be merry. In medium bowl stir together mango, carambola, tomato, cucumber, onion, sweet peppers, cilantro, lime juice, sugar, habanero or Scotch bonnet peppers, and salt. Cover and refrigerate for 6 to 24 hours. Makes about 4 cups. Ludwig Van Beethoven a german composer who was crucial to the music world between the periods of classical and romantic eras. 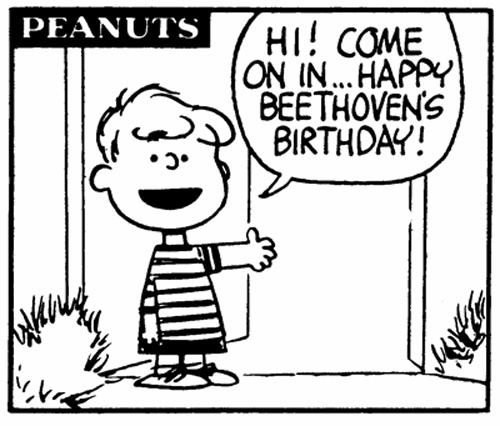 Beethoven is one of the most famous and influential of all composers. He composed several symphonies, concertos, sonatas, quartets and a great Mass. Bonn part of the Holy Roman Empire was the birthplace of Beethoven. His musical talent was very apparent and he became a scholar of his father. As a young man, Beethoven moved to Vienna and studied with Joseph Haydn. Beethoven would start losing his hearing in his early 30s. He would eventually have to give up conducting and put all his energy into composing. As a band student we learned a lot of lessons from the great conductor / composer Beethoven. His life and the struggles he had in it always seemed to me to make him even more powerful. It takes the hard to make the great. Perhaps, that is why students still study from this great man. Today December 16th is Chocolate anything day. So I thought I would do a quick search to find a fun Christmas inspired recipe that of course had something Chocolate inspired. Do your own search you will find many awesome recipes. These little Christmas trees were among my favorite. The cookies are like the ones that my grandmother would buy for us and we always loved them. Then the little Christmas trees are surprisingly enough strawberries. 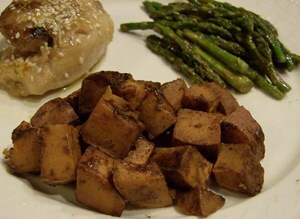 You can find a great how to recipe here at the blog I graciously borrowed the recipe from. Add water by the teaspoon and whisk until the desired consistency is reached. You want it to be thick like toothpaste. Set a heat proof bowl over a small pot of simmering water on the stovetop (double boiler). Slowly melt the candy melts in the bowl, stirring occasionally. Do not allow moisture to come in contact with the candy. Spoon or pipe a small amount of icing onto the top of each Oreo. This will adhere the strawberry to the cookie base. Once candy melts are fully melted, turn the heat to low while you dip the strawberries using a toothpick inserted into the cut end. Shake off excess candy coating gently. Using a second toothpick inserted into the pointed end of the dipped strawberry, carefully place the strawberry on top of the icing on the Oreo. Decorate with sprinkles and a candy star while the candy coating is still wet. It will usually dry in about 10 minutes. Joseph and Mary departed on their journey from Nazareth. They would have crossed the mountains though Cana to the southern shores of the Sea of Galilee. Many others would have been traveling this same route. It was safer to travel in groups to avoid robbers. While there seems to be a donkey in many Christmas stories the bible does not mention one. The road would be long and hard and even once they reached Bethlehem they would not find the most gracious environment. There were no rooms at the inn to rest. The inns of these days were nothing like the hotels or motels of today. It was simply an outdoor walled off place with bit of shelter. The stable where Jesus was born was likely a cave that housed animals. The humbleness of all of this makes a tear come to my eye as I sit here and think how my King Jesus was born in a lowly stable and his birth and what Mary his mother experienced. Have a traveling to Bethlehem night. I found this on the blog Having Fun at Home. Imagine that you are part of those at the first Christmas that have traveled to Bethlehem to pay your taxes. What would it have been like? Remember, everyone was traveling back to their homes to pay taxes and be counted. 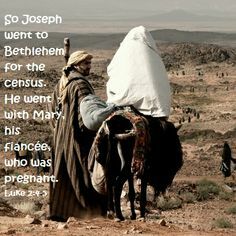 Joseph and Mary had an even harder journey as she was expecting child. Hot, sweaty, dirty and maybe even cool nights they traveled through it all. The only foods available as they were traveling were those that needed little prep or heat Foods such as figs, dates, olives, goat cheese, nuts, grape juice and dried meat may have been on the list of what they had available. For supper Joseph and Mary may have dined on a meal with fish as it was plentiful in those days. Cauliflower and broccoli may have accompanied the fish. Dried and fresh fruit were often served at meals during biblical times. Bread was another item that was served along side every meal. It would be fun to serve the family a meal similar to the one Mary and Joseph may have dined on that holy night. asking if I am doing it right?? what will we be dining on?? what will be wrapped and what will we wrap it in?? Who will be coming and where will we be going?? And all these questions while the big signs that time is running out and there are only so man days left. That countdown that as a child was so exciting to me is now a sign that I am running out of time to make that perfect Christmas for my family. This seems to make the holidays uncomfortable and full of stress for me. But wait a second take a deep breath and let it out. 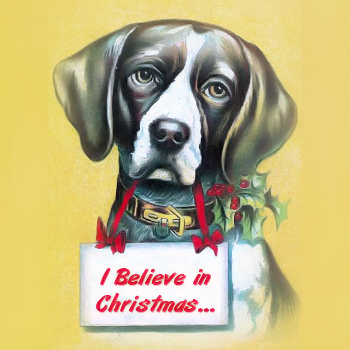 There are a few tips that we can try that should help make the holidays less stressful. Don't get overstressed because you have to many oars in the water. Not everything has to be done at once or by you. Tasks should be separated as much as possible and tackled one at a time so you feel like you are getting some where. With all that is going on around us and in our lives completing tasks as you go along will help keep you on target. Spread the sweet potato pieces in a greased baking dish. In a small bowl, combine apple juice, honey, and spices. Drizzle spice mixture over the sweet potato. Toss to ensure the sweet potatoes are thoroughly coated. Cook at 400 degrees for 30 minutes or until fork tender.